Clean Office Plus, is the one-stop solution to your office cleaning services in Miami. 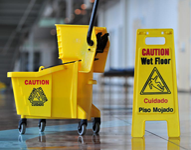 Cleaning business premises demands the very minimum of fuss, the highest standards and ultimate professionalism shown throughout the entire task. The type of services on offer are numerous, giving the customer a wide range of cleaning options and a feeling they are being spoiled for choice. There is going to be something there to suit your needs. 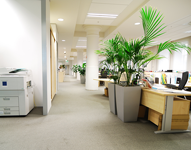 As well as doing standard cleaning services within the office and business arena, we offer green cleaning methods where the environment is taking into consideration. WE can use products that are free from chemicals, recyclable and harmless to the environment. If this is something you think you might want for your business, then Clean Office Plus in Miami can accommodate. 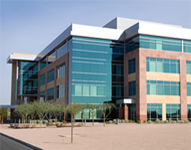 We take great pride in our commercial cleaning services. Any products that we feel harm the planet can easily be left alone as your offices sparkle under natural sprays, cloths and non-abrasive materials. At Clean Office Plus we use all the cleaning equipment to make sure no environmental harm is done. Vacuuming machines need to use HEPA filters if they are to provide you with a service that goes the extra mile in Miami’s commercial cleaning services industry. There are few, if any, commercial cleaning services in Miami that offer such a wide range of high quality, environmentally friendly and low carbon footprint cleansing agents, as we do. Where Will You See Us In Your Business? All restrooms and bathrooms are thoroughly cleaned. All recyclable materials, such as paper, card, plastic, tin and glass are taken to the plant or dumpster for recycling. Desktop services, VDU screens, shelfs and table tops are cleaned, dusted and polished. Afterwards they are sanitized and left sparkling new looking. Carpets, rugs and mats are vacuumed, shampooed and brushed using high quality products we use in our Miami-based office cleaning service. Restroom supplies will be topped up with toilet roll, soap, paper towels and wall supplies. Elevators are cleaned and polished inside including all hand rails and mirrors too. Spot clean all reception areas – realising that this is the opening area for first contact of all clients entering your business. Dusting of smaller office equipment like printers, mouse, fax machines and keyboard. Some businesses may have more to cleaning needs that we might have overlooked. Simply tell us what that is and we can clean there on a regular basis, if necessary. Part of our maintenance and cleaning service will probably provide you to a cleaner environment in which to work in. Our professional cleaning services also provide quality cleaning in Doral, Coral Gables and Kendall too. Commercial cleaning can also cover most of the southern Florida region, including places like Pine Crest, Palmetto Bay, Homestead, Brickell, Hollywood, Miami Beach and Miami Springs. 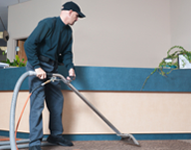 You can request full janitorial services or a quote from any of our professional staff. Simply call us now on 1-305.509.8380.